Never more relevant, and now with an introduction by Chris Kraus. Myles has an exquisite sense of the borderline, where people hide or are transformed according to luck and will . . . Most important, though, is her understanding of more abstract institutions, especially the family. Her work is hard to describe, best encountered on its own terms; suffice to say it combines frankness and beauty in a truly original way. A cult figure to a generation of young, post-punk female[s] forming a new literary avant-garde. Myles is a big deal, a rock star, sort of like the Patti Smith of contemporary poetry . . . [she] is relentlessly casual, and even joyful. 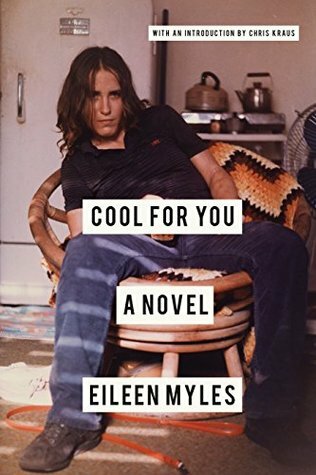 Seventeen years after its first publication, [Cool for You] feels just as radical, startling, and daringly alive as when it first came out. Cool for You is touching, funny, and original, featuring strange, beautiful images of the ordinary world. One of the saviest voices and most restless intellects in contemporary lit. The reissue, after 17 years, creates a strange sort of time vortex, a double-lens of perspective, in which Myles is looking back on the self that wrote the book, who is in turn looking back on the self in the story. The rock star of modern poetry. 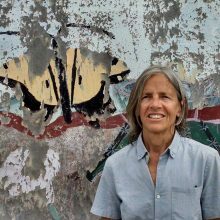 Eileen Myles is a poet, novelist, arts journalist, essayist, librettist, and performer whose books include I Must Be Living Twice: New & Selected Poems; Chelsea Girls; Inferno: A Poet’s Novel; and Not Me. In 1992, Myles campaigned as America’s first “openly female” write-in presidential candidate. A recipient of a Guggenheim Fellowship in nonfiction, a Creative Capital/Andy Warhol Foundation Arts Writers Grant, four Lambda Literary Awards, the Shelley Award from the Poetry Society of America, and the Clark Prize for Excellence in Arts Writing, Myles lives in Marfa, Texas, and New York.